I’ve been looking forward to writing this blog post because I am such a huge fan of Google’s entire online productivity suite. I’d go as far as to call myself a fangirl. Every single day I use Gmail, Hangouts, Google Calendar, Google Maps, and Google Drive to manage pretty much my entire life. When I launched BTDS back in January, signing up for Google Apps for Work and using these tools to run my company was a total no-brainer. If you’re like me and you already use Google in your real non-work life, you won’t need much convincing once you hear how affordable Google Apps for Work is and how easy it is to implement. If you’re currently using something else to manage your company’s assets, scheduling, and messaging, then I’m going to try to convince you that Google Apps is what’s missing from your life. Google Apps for Work will cost you $5/month/user, or $50/year, for access to all of its features across all of your devices. For the same services and not at all the same ease of use, you can get Microsoft Office 365 for $15/month. That’s an extra $120/year that you don’t need to be spending, and if you’re just getting started, that you can put towards something better (like awesome business cards!). That’s less than you spend on your Netflix account. For $50/year you get a professional email account, storage and access to Google Drive and Calendar, Google Hangouts for instant messaging and videoconferencing with clients and coworkers, and Google’s business-grade security and controls. And Google guarantees that it is up 99.9% of the time. That’s a pretty sweet deal. 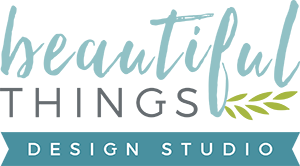 Instead of settling for beautifulthingsdesign@gmail.com, I was able to quickly and easily create a custom email address at my domain name instead, which gives my business a serious sense of professionalism and that extra boost of trust when a potential client gets ready to send me an email. If you own a domain name for your business, you can create yourself a professional email with yourname@domain.com. You can even add and manage other users for $5/month/user so that your whole team looks professional and is in sync. And then you can set up an info@yourdomain.com address and have it forward to anyone in your company, for another level of professionalism! And if you don’t own a domain yet, you can head over to Google Domains to grab one for $12/year and really have everything all in one place. My central hub for all of my business stuff is my Gmail inbox. 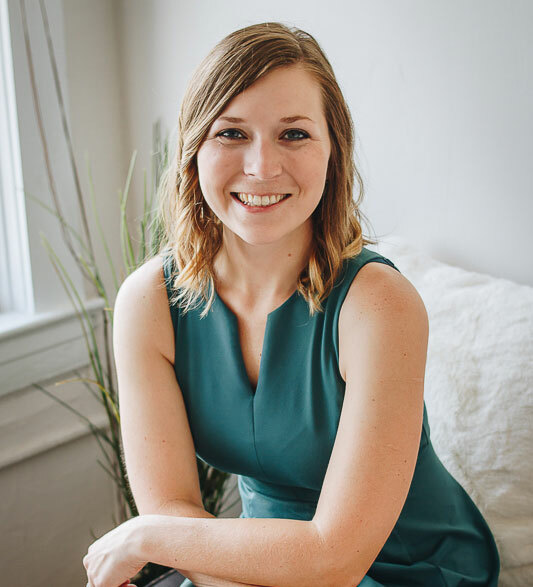 Here I have separate folders for all of my clients, which are set up to automatically tag the correct client when a new email comes in, and I have access to all of my client files in my Drive folders and my daily schedule in my Calendar. With everything in one place, I just log into my email in the morning and can quickly and easily access what I need to start my day. If only it made coffee! With your Google Apps for Work account you get 30GB of storage for your email and Drive files, which is more than enough if you’re going to use it like I do to organize projects, share files, and collaborate with clients. If it’s not enough you can upgrade to 100GB for only $1.99/month as well. Google Drive includes Google’s Office-like suite of Google Docs, Google Sheets, and Google Slides, as well as Google Forms which you can use to create surveys or client questionnaires. I like to set up a Drive folder for each new website project which I share with my client, then create an organized system of folders and Google Docs so that we can collaborate on everything in real time. I can see when they upload images or are working on copy for a webpage, and I can make comments or ask questions through the chat feature. I also have different folders for pretty much everything, including my bookkeeping, my own website copy, Doc and Sheet templates that I send out to clients as part of my workflow, and even blog posts (I’m writing this in a Google Doc RIGHT NOW!). And the best part is that I can access all of these files from any computer through any browser, so that I don’t need to have my computer with me at all times and can instead log in from anywhere to keep working or to quickly grab a file or add feedback. This is the same reason that I am a Mac person and will never go back to having a PC. Google’s suite of online tools just work. I never have to worry about crazy crashes or meltdowns, and if anything bad does happen, the fact that the autosave functionality is forever saving my latest changes means that I will lose a very minimal amount of work. Anyone that’s had Excel crash on them before and lost tons of work will understand what a huge deal that is. Being able to trust fully in my productivity tools means less stress and worry over something that really should just work. 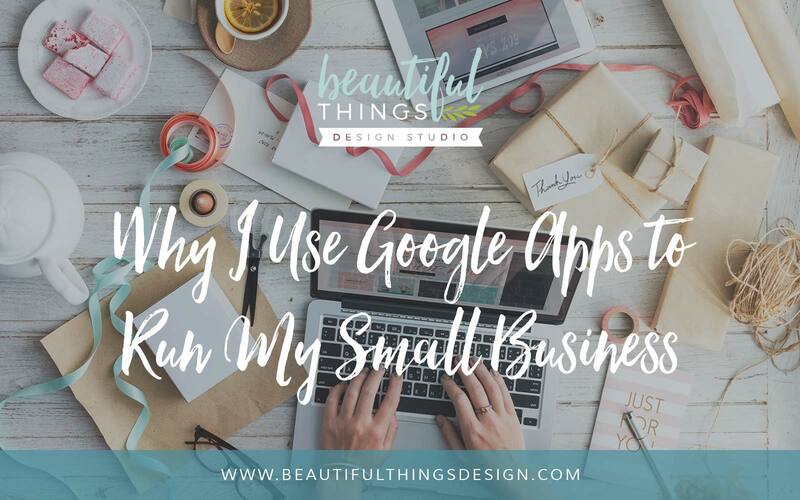 I honestly could go on and on about every feature of Google Apps and how I use them specifically for running my business, and maybe in the future I shall. If you guys have any specific questions or need more convincing, leave a comment and I’ll write back right away! I’m mad for this stuff.